“Night Moves” is a song written and performed by Bob Seger, from his 1976 album Night Moves. Released as a single in December 1976, it eventually reached number four on the Billboard Hot 100 pop singles chart. In doing so, it almost single-handedly changed Seger from being a popular regional favorite into a national star. Seger and the Silver Bullet Band went to Toronto for three days to record a few tracks with The Guess Who’s producer Jack Richardson, whose Nimbus 9 Productions company was hot at the time. The band quickly recorded two Seger originals, one of which was “Long Long Gone”, and a cover of the Motown hit “My World Is Empty Without You”, but before Seger left on the third day, he composed a fourth song to record. Seger said that the song was influenced by Bruce Springsteen’s “Jungleland”. As the only members of the Silver Bullet Band still in Toronto were the bassist and drummer (plus Seger on acoustic guitar and piano), Richardson recruited local session musicians to play electric guitar and organ, while Sharon Lee Williams, Rhonda Silver and Laurel Ward sang the song’s trademark backing vocals. Richardson said that “the whole arrangement came together in the studio.” “Night Moves” is a mid-tempo number that starts quietly with acoustic guitar. 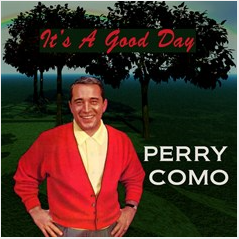 Bass guitar and drums are introduced as the song’s setting is described: 1962, cornfields, ’60 Chevy. An intense summertime teenage affair is described, knowingly more sexual than romantic, with short instrumental lines breaking the evocative imagery sometimes in mid-sentence. Piano, female backing vocals, electric guitar and organ are added as the song’s emotional nostalgia builds momentum. Then suddenly it stops, as the narrative flashes forward to some period in the future, where he hums a song from 1962. To a quiet acoustic guitar, the narrator, awakened by a clap of thunder and unable to fall back asleep, ponders a different sense of the title phrase. Then the rest of the instruments fall back in, for an extended coda vamp of the chorus. After the tracks were mixed by Richardson and engineer Brian Christian, Richardson said that he received a call from Seger’s manager/producer Punch Andrews expressing dissatisfaction with the tracks, and Andrews said that Capitol Records had been equally disappointed. A few months later, when Richardson was talking to a Capitol A&R executive, he asked about the Seger sessions and was told that “both tracks” were potential B-sides. It turned out that Seger and Andrews had never given “Night Moves” to Capitol, so Richardson did and, after hearing it, Capitol made it the title track of Seger’s next album, as well as the first single. Seger remembers the sessions somewhat differently. He claims that it was his decision to use musicians other than his normal band, and that he saw the song as potentially the one that would define his career. However, that appears to be inconsistent with the fact that the song was not submitted to Capitol by Seger and Andrews. 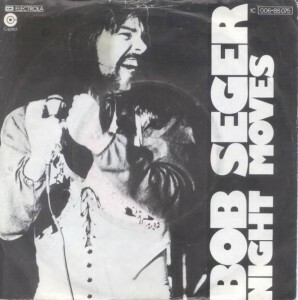 Bob Seger has been quoted as saying that the song “Night Moves,” (as well as the overall theme of the album), were inspired by the George Lucas movie “American Graffiti” (1973).